A shield boss is a raised section, often made of metal, at the center of the shield with the purpose of deflecting blows away from the center of the shield. 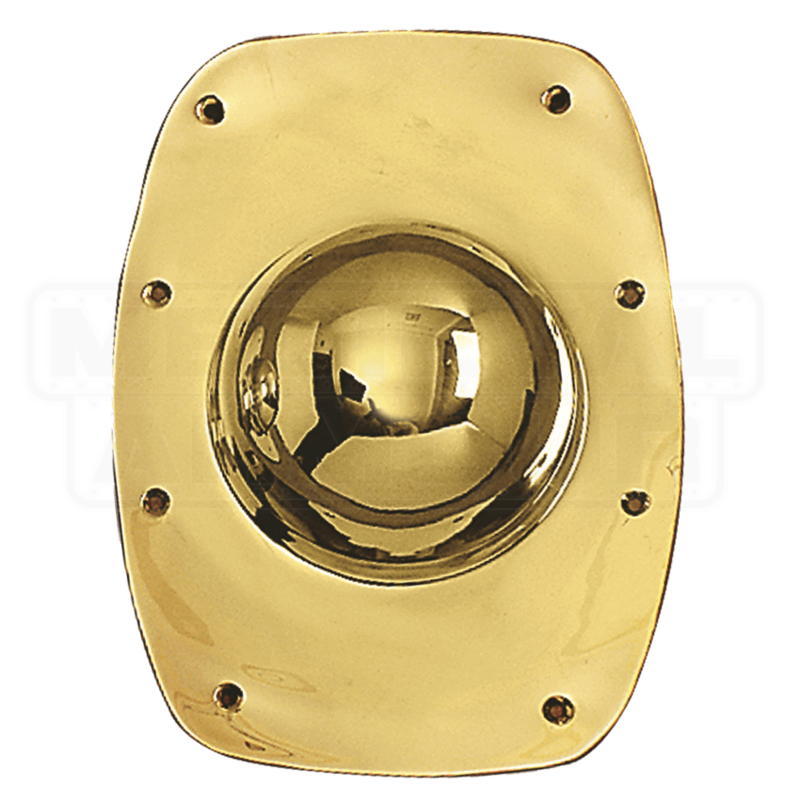 This Roman Brass Shield Boss is perfect piece to mount on your own rounded shields. 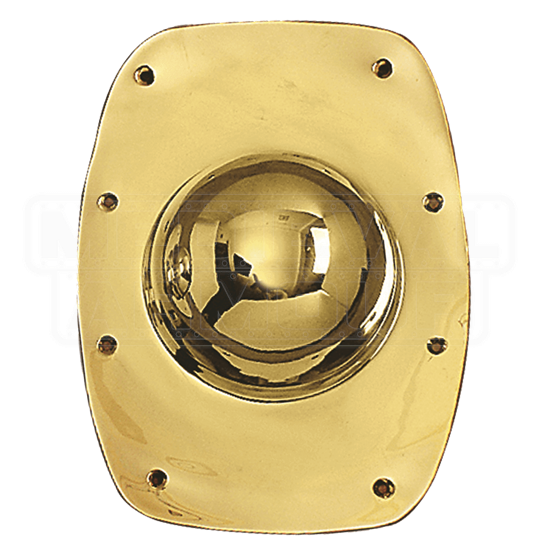 This shield boss consists of a rectangular sheet of brass metal with a round, raised bubble at the center that helps to deflect blows away, while also featuring eight holes around the edges for mounting. This Roman Brass Shield Boss is the perfect piece to use when you are constructing your own personal shield, as well as a great replacement for any shield bosses that might have become dented, warped, or damaged through time or use.